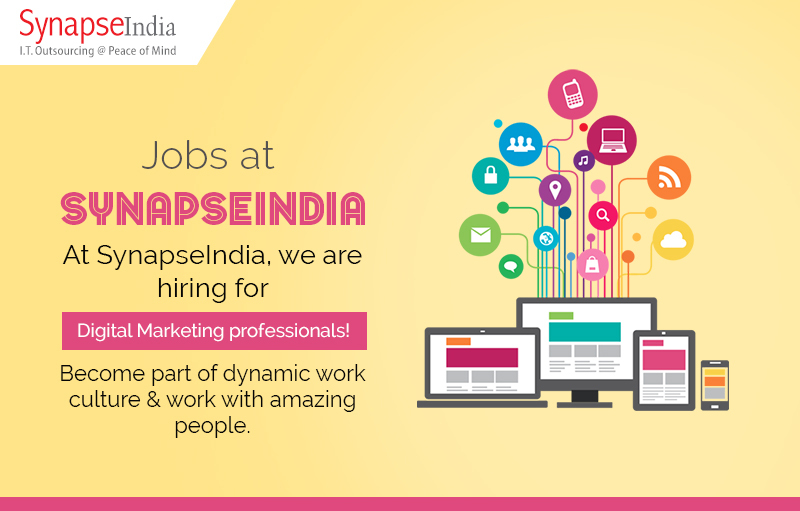 Take a look at SynapseIndia jobs opportunities for digital marketing specialists. At SynapseIndia, well known IT company in Noida, we're hiring for passionate and self-motivated digital marketing professionals. Founded in year 2000, SynapseIndia is known for providing effective & result-oriented IT & digital marketing services for the clients across globe. We are looking for innovative spirited Digital Marketing professionals to work on the projects of international clients. Your role will include creating digital strategy as per the client requirements, implementation of action-plan, monitoring and analyzing the results. Interested to make a career with us? Apply for SynapseIndia jobs.